This is the website of the Fritzlar Tourist Guide association Stadtführergilde Fritzlar e.V. Duration: The Guided Tour will last approximately 1 hour and 30 minutes. The visitor will get a feeling about the middle ages, the living conditions and the structure of defense and administration. The cathedral (the Dom) and the emperors are also part of the program as well as architecture and anecdotes out of that period. A stress less but informative tour around the “town of St. Boniface, the Apostle of the Germans”. Our association was founded in 1996 and currently has 24 members. It is a member of the umbrella organization German National Tourist Guide Association (BVGD). We are professional tour guides, trained according to the guidelines of the BVGD. 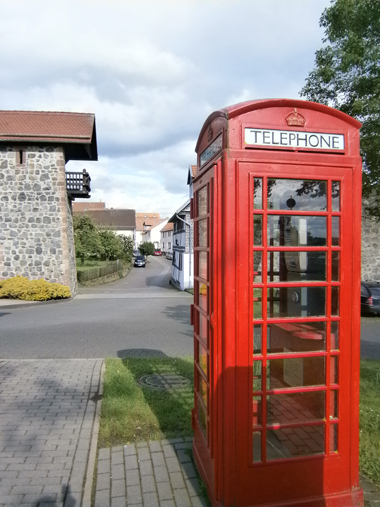 Meeting point: public telephone station "Am Grauen Turm"